Back, joint and muscle pain is incredibly common, and it can interfere with your daily life in all sorts of ways. Pain may be the result of a particular activity – or inactivity – and it can strike at any time. The health of your spine, joints and muscles is vital to your well-being, which is why we specialise not only in treating pain, but also in maintaining the health of these structures for an active and enjoyable life. If you have recently developed back or joint pain, have suffered an injury, or have been living with pain or spasm for far too long, we can work with you on managing or alleviating your pain. 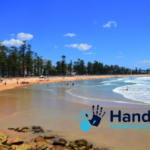 Hands On Health Care Clinic is a chiropractic and massage practice based in Balgowlah on Sydney’s Northern Beaches. We specialise in the diagnosis and treatment of back injuries, and muscle and joint pain. Our practitioners are fully qualified and experienced therapists who use a varitety of treatments to safely, effectively and gently treat your injuries to help alleviate pain and promote health. Some people associate chiropractic with harsh treatments and bone ‘cracking’. Thankfully, the reality is quite different. Essentially, it involves the manipulation of the spine, joint and muscle tissue through hand movements, which may be as gentle or firm as you like. The idea of bone cracking stems from a popping sound sometimes heard during specific manipulations that aim to restore motion to a restricted vertebra or bone. While this procedure tends to be very effective, the air released from between the joints as they move apart may produce an audible pop or cracking sound. We can happily reassure you it is not the sound of bones actually cracking or breaking. Having said that, some people do find the idea of this type of manipulation unnerving, so if you are concerned, simply speak to your therapist before beginning your session. Depending on the nature and cause of your pain and injury, Hands On Health Care Clinic therapists may recommend chiropractic alone or a combination of various techniques including chiropractic, dry needling and remedial massage. We frequently also recommend heat or ice packs and/or gentle exercises for you to do at home that together may help to increase flexibility and reduce pain and discomfort. In fact, many people achieve best results through a combination of treatments, rather than one specific therapy. The Northern Beaches is one of Sydney’s most picturesque corners, and it invites an active lifestyle. Whether you love to swim, surf or enjoy leisurely walks, whether you play regular sport or are a lounge lizard, pain may strike. Sometimes back pain can be the result of a sports injury or an accident. Interestingly, inactivity may also contribute to back pain with long periods in front of a computer being a prime culprit. Our therapists are qualified and have the experience to assist with pain in the back, neck, arm, wrist, shoulder, ankles, knees and feet. And they may even help with headaches or bad posture. One factor that can often be a major cause of back and joint pain is stress. We tend to lead hectic lives, and stress triggered by work, relationships, money, ill health or other issues can be a catalyst for back pain. When we’re stressed, we tend to clench or tense our muscles, which may lead to headaches, and restricted movement and pain, not just in the back, but also in the shoulders and neck. If left untreated, any back or muscle pain can gradually worsen. Whether you are suffering from severe pain now, or simply have an occasional twinge, then a thorough assessment of your spine may prove helpful. A healthy spine is not just about avoiding back pain, it may also contribute to better flexibility, improved posture and higher energy levels. And all of that can help you improve and maintain your overall health. We need to look after our bodies for optimum health, and there’s no better time to start than right now. Effective treatment is only possible after a full assessment. Our therapists can help determine a course of treatment by looking at the exact nature of your pain or ailment, looking at your lifestyle and activity levels, and talking to you to understand if anything else might be contributing to your pain. We will discuss with you our recommendations and answer any questions you have before starting treatment. Our goal is first to minimise or fully alleviate current pain, and then to maintain spinal health so that pain stays away. Hands On Health Care Clinic would love to help, so if you’d like to speak to our friendly receptionist for further details or to book an appointment, feel free to give us a call.